A new Anchorage law is aimed at improving transparency in health care pricing. Here’s how it works. A measure designed to give health care patients more control over their care is now in effect in Anchorage. The concept is simple: Give patients a price estimate when they ask. The goals are more complex. "The first is just to empower health care consumers, and that's not totally empty jargon, that's real," said Bill Falsey, Anchorage municipal attorney, who will soon take over as city manager. When asked, all Anchorage medical providers — including physicians, physical therapists, chiropractors, dietitians, dentists and psychologists — must provide price estimates. Emergency medical care is an exception, since care must be administered immediately. The second goal is to help bring down health care costs through increased price transparency — a standard economic theory, Falsey said. "If we're going to have a health care market, it should function like a market. And information is critical," Falsey said. "If people are able to get a better sense of what things will cost before they get the charges … they might not elect to get certain procedures," Falsey said. "They might actually shop around." The ordinance went into effect in April, but the municipality didn't start enforcing the measure until September, Falsey said. 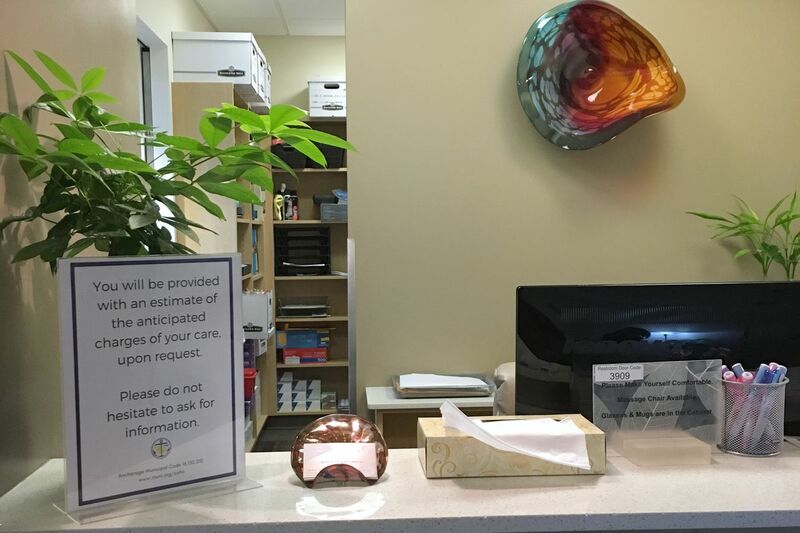 Now, each office must post signs explaining that patients can ask for cost estimates. Then, the office has 10 days to provide a range of costs. It must describe the procedures, include billing codes and additional fees. Enforcement is based on consumer complaints. If a clinic doesn't comply with price reporting guidelines by the end of that 10-day window, or doesn't post the mandated signage, the provider may face fines of $100 per day, up to $1,000. As of late October, no complaints had been made, Falsey said. For some clinics, complying with the new law poses almost no additional burden. "The only thing that's different now is that we put a sign up," said Graham "Alec" Glass, neurologist at Peak Neurology and Sleep Medicine. The clinic's billing manager already drafts estimates because "the reality is it makes for unhappy patients" when people get unexpected bills, he said. But it may be more of a challenge for hospitals, where an inpatient setting leads to more complications, Glass said. "We support transparency but we also recognize the difficulty within our current system in providing accurate information," said Becky Hultberg, president and CEO of the Alaska State Hospital Association. Hospitals already provide price estimates, Hultberg said, and at its September meeting, the hospital association signed off on a price transparency principle and checklist that sets standard transparency goals. Still, Hultberg said that insurance companies, not hospitals, are the best way to get accurate information on what a patient will actually pay. Insurers can tell patients whether the clinics are in network and what their deductible is, among other specifics about their health care plans. Insurers aren't affected by the ordinance. The idea that the ordinance will drive down prices has been met with some skepticism. One common idea in the health care industry is that patients only care about price up to the point where they max out their deductible — charges beyond that don't matter much to them. "Consumers are only price sensitive up to the point of their out-of-pocket exposure, which for some is fairly low. In our experience, relatively few consumers seek cost information," Hultberg wrote in an email. "Given the many factors influencing health care costs and consumer decision-making, we do not believe this ordinance will have a significant impact," Hultberg wrote. Glass agreed that the ordinance's impact on prices may not be much. "I think it will have marginal impact, but it may have some," he said. But "it's an incremental step in the right direction because ultimately … it gets closer to allowing a market to actually work in the health care field," Glass said. Health care patients who want to file a complaint can call the Anchorage Department of Health and Social Services at (907) 343-4260.